This post was created in partnership with Rogaine. 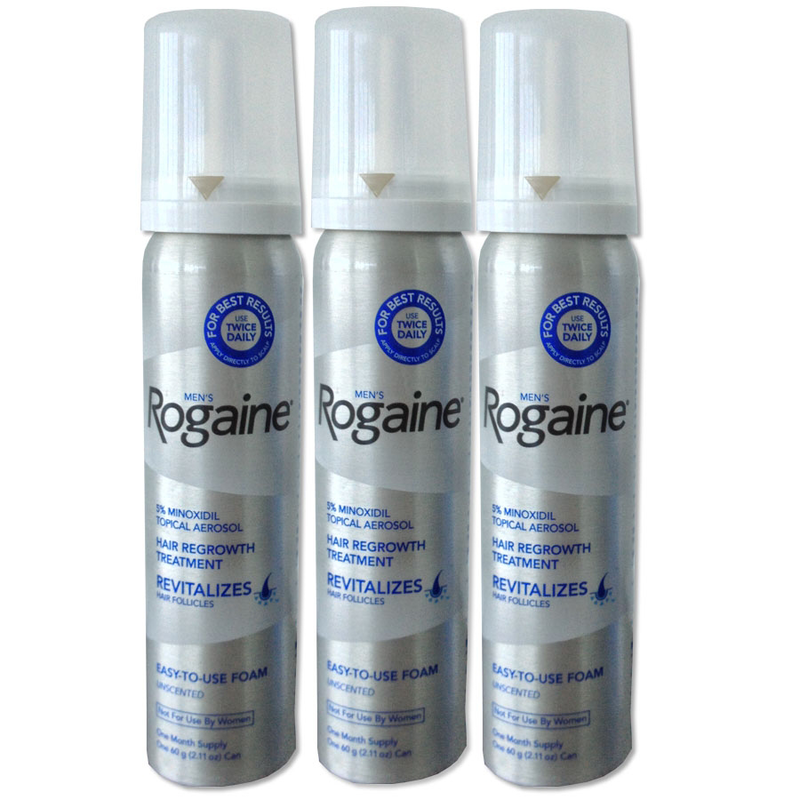 I’ve partnered with Rogaine to talk about men’s hair loss. Every man has different patterns of baldness. Sometimes men loose hair starting in their teens, 20s or 30s. Everyone’s genetic make up is different from one each other, which plays a gambling effect in their own personal hair loss journey. My paternal grandfather at 88 still has a healthy head of hair but my maternal grandfather at 83 has been bald since his late 20’s. Because of that, I should expect to experience some sort of thinning and baldness, as I grow older. Other hereditary traits that run in my family are skin cancer, colon cancer, prostate cancer, obesity and high blood pressure. Fortunately, my father is in excellent physical and mental shape and doesn’t have any of these issues, yet. Rogaine was first established in 1988 as a prescription topical solution. In 2006, they released the first 5% Minoxidil over- the- counter foam. This unscented foam is their most popular; it has an, easy- to- use formula and is the #1 dermatologist recommended brand for hair regrowth for both men and women. Scientific tests showed that 9 out of 10 men saw hair regrowth after 3 to 4 months using the product twice daily. My father has been using Men’s Rogaine Unscented Foam product for the past 5 months and has been seeing a noticeable improvement in the thickness of his hair. Before he started using Rogaine, he was experiencing thinning hair, most noticeably in the back of his head but not to the point of a visible scalp. He is happy with the results achieved using Rogaine and he will continue to use the product. Although, I don’t have any specific hair loss issues currently, knowing that there’s a product on the market such as Rogaine, I will pay attention to my own hair health and use Rogaine as needed.